Canadian rock icon Randy Bachman turned up at the Orpheum Theatre this week with a quartet of hand-picked musicians to play alongside Gordon Gerrard and the Vancouver Symphony Orchestra. For many in the audience it was likely the only VSO concert they’ll attend this year. 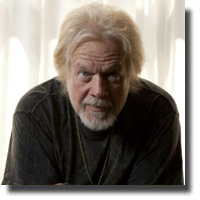 Bachman is renowned as lead guitarist and songwriter with the sixties rock band The Guess Who and later joining forces with Fred Turner in Bachman–Turner Overdrive. He also hosts the weekly music show Randy’s Vinyl Tap on CBC Radio. Bachman is a veritable ‘walking rock music encyclopedia.’ He doesn’t just announce the title of a song before playing it. He serves up anecdotes about how each song was conceived. For example, “These Eyes” was inspired through meeting his first wife Lorayne. Bachman is also pretty slick at mimicing other guitarist’s styles. On this night, he took a page from Jeff Beck’s catalogue with “Cause we've ended as Lovers" from his Blow by Blow album, that was actually written by Stevie Wonder. At the end of the second set, as a tribute to B.B. King, Bachman performed “Taking care of Business’ in the late bluesman’s style. The Vancouver Symphony Orchestra, who are more used to playing Bartok and Beethoven, showed that they could also rock with a curious symphonic version of "Let it Ride." This was ‘Geezer Rock’ at its best!